“We wanted to live in a car-free settlement, where our children can grow up freely and you know your neighbours. 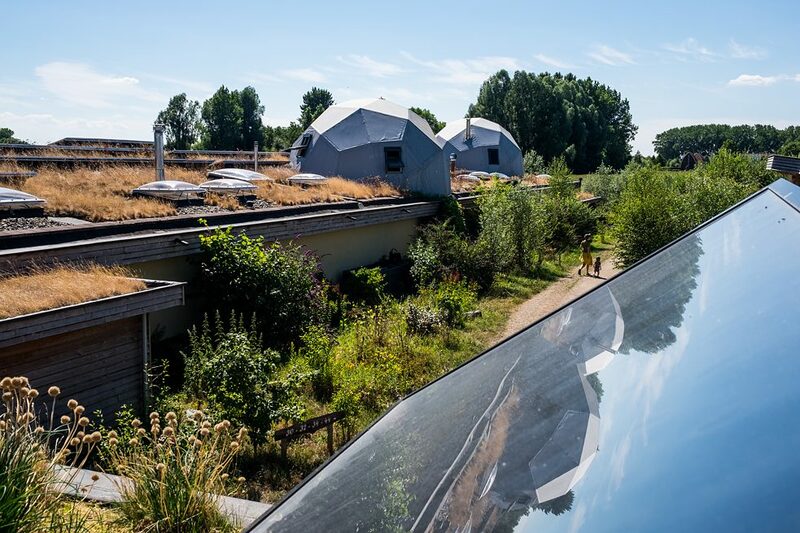 A settlement that is in harmony with nature and inspires others”, says Rogier Battem. 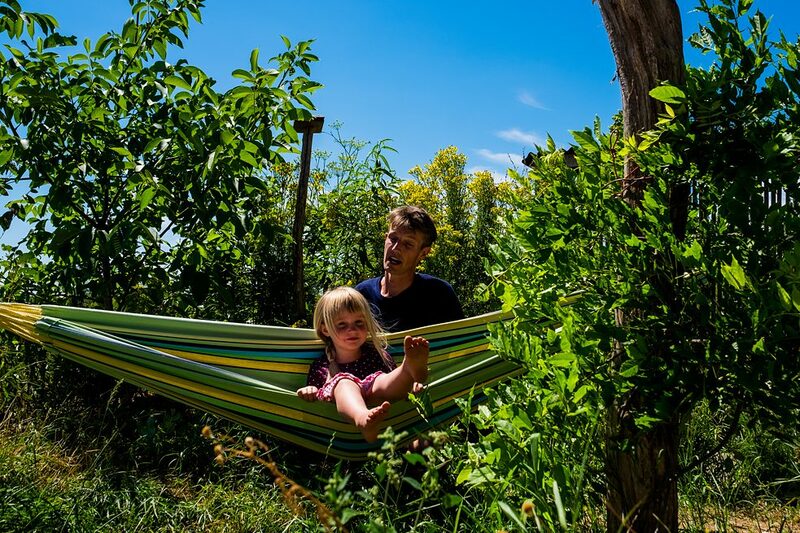 He lives with his wife Miriam and his children Wim and Moos in one of the 23 earthships that belong to this settlement in the village of Olst in the Dutch province Overijssel. 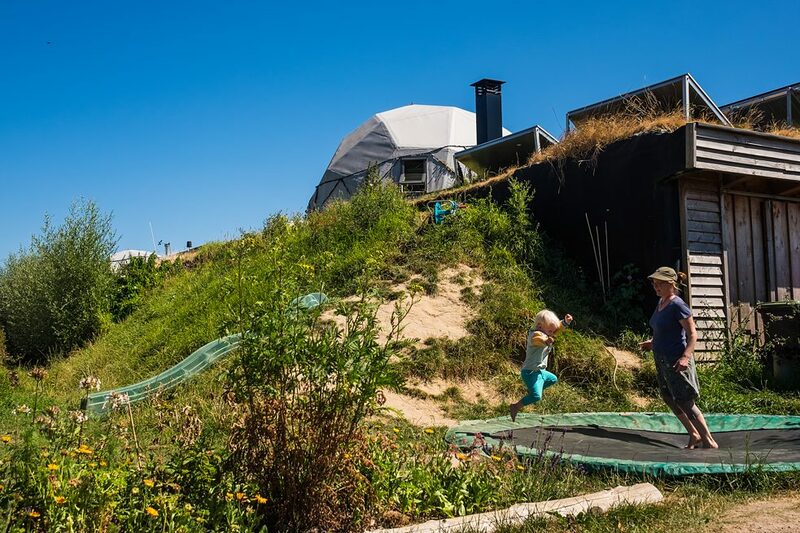 The self-built houses of the residents were inspired by the earthships of the American architect Michael Reynolds. The walls are made of earth and filled with tires, the houses often of waste materials. 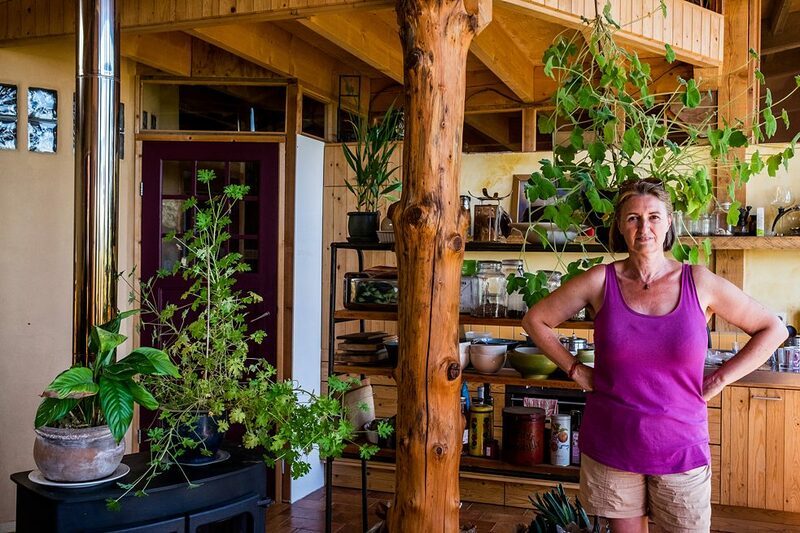 The residents sought to build houses that are independent of fossil fuels. For this reason, the windows are directed to the south side to provide the houses with optimal heating. They have a 9 per cent incline angle and the roof is insulated with recycled EPC. The roof, on which grass, flowers and stonecrops were planted, absorbs water and is equipped with solar collectors and solar panels. During the process, there were also some setbacks, which sometimes forced the settlers to adjust their goals. Estella Franssen has gone through the whole process from idea to execution. She reports that the group also had to deal with building permits, regulations and laws. Various commissions had to check whether all construction requirements had been met. As a result, the houses ended up being much more expensive than initially estimated. It was therefore decided to build the houses only in shell construction and to have them completed by the residents themselves. Due to the loss of time and the fact that the construction using car tires would take much more time, the settlers also decided to build eleven of the 23 houses with straw walls instead of earthen walls. 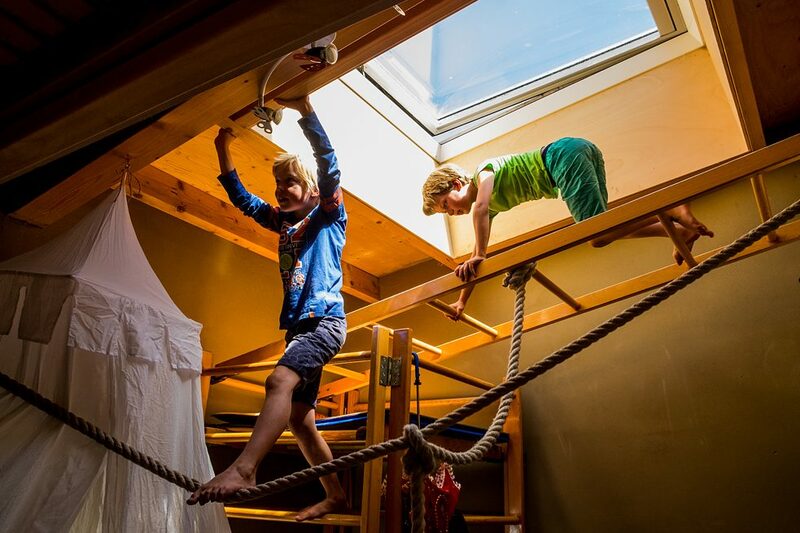 Sanne Derks is a Dutch photographer with a focus on social documentary. Her reports have been published internationally, including in El País, Deutsche Welle and Al Jazeera. With a PhD in cultural anthropology, a master’s in cultural psychology and a master’s in photojournalism, she combines anthropology and journalism in her photography projects.